reLock is a brand new approach to protect your bike. It upgrades your dumb usual bike lock to make it smarter and more effective. reLock is easily attached to a bike lock and it's very sensitive to the actions of your lock and bike. If a thief tries to steal your bike or parts of it, reLock detects the shaking motion. It will immediately alert you of the incident and scare off the thief with a loud voice alarm. This unique approach is several times more effective than conventional protection. In addition, we use all advantages of the bike registration system and the bike community. 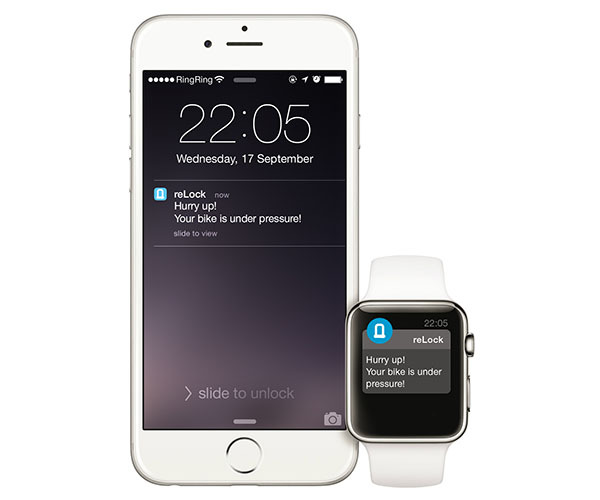 reLock immediately sends you push notifications or text messages about any attempt of robbery. You are not limited by distance to your bike. The loud voice alarm system takes any thief by surprise and attracts people's attention to the attempted theft. You can choose your own voice alarm to give your bike personality. reLock can not just shout at thieves, but also can talk to you and turns on/off the protection automatically basing on proximity to bike’s owner. The last feature works via Bluetooth. You can add your bike to the database. That ensures that police, bike shops, sellers and buyers have the information they need to help reunite you with your bike. You get free ID tag kit for your bike in the same package with reLock. The security sticker indicates, that the bike is registered in database and protected. Each kit contains 3 tamper-resistant, weatherproof and scannable tags. If possible, reLock immediately reports to the nearest police about the confirmed attempted theft. After the theft, status of your bike in the database is automatically changed to "stolen" and community members are informed. We are going to encourage the efforts of the community members to find and return the stolen bikes. 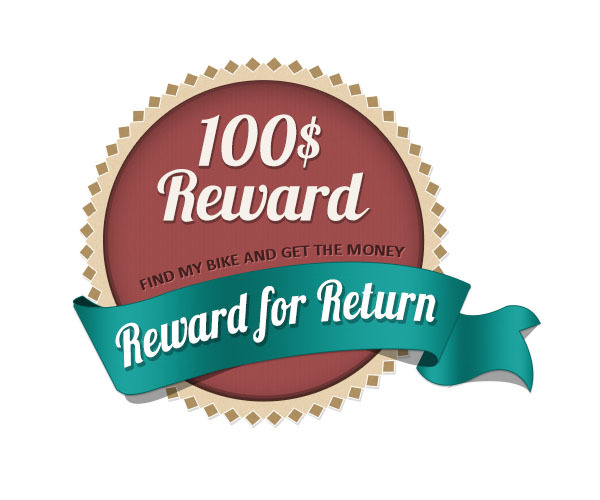 Also, people are able to assign a reward for return of their bikes. We are developing now another awesome feature! Photo-confirmation of attempted theft by using the reLock's built-in camera. The new version of reLock will be using the built-in camera and LED lights for the photo-confirmation function. This will completely eliminate false alarm and implement a quality system of the report to police. Do you have any questions? Check out our FAQ. If you are interested in reLock, then pre-order it right now! No prepayments and without any commitments on your part! You will get the opportunity to influence the course of development, as well as a 50% discount.